Secure building with underground parking and elevator access. 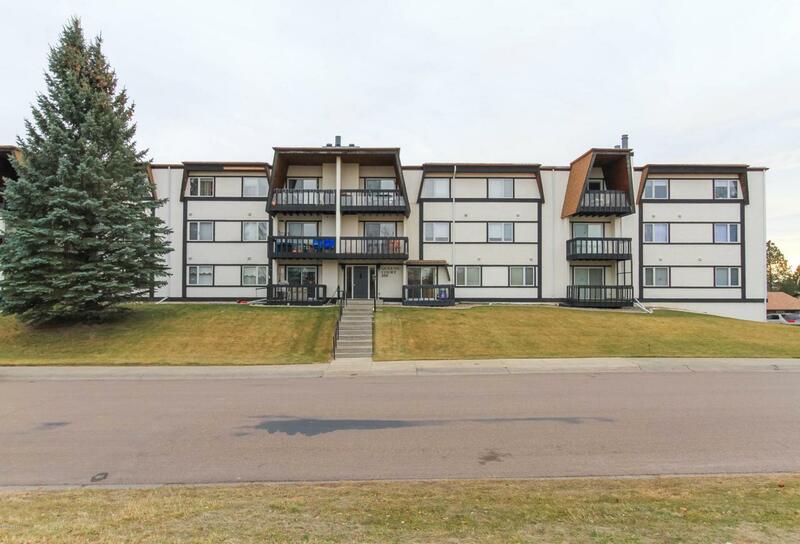 Highly sought after Queens Court condo with 2 bedrooms, 1 bathroom and lots of updated features, including stainless steel appliances with new deep kitchen sink and sprayer faucet, newer flooring throughout, newer bathroom vanity. There is pantry storage and room for a washer and dryer. One underground parking space with elevator to all floors, one secure small storage area in the underground garage for the unit. One off street parking space in the attached parking lot. Located across from Flag Hill park. No Smoking and No pets are allowed. Listing provided courtesy of Polly Pearson of Keller Williams Northern Montana Realty.